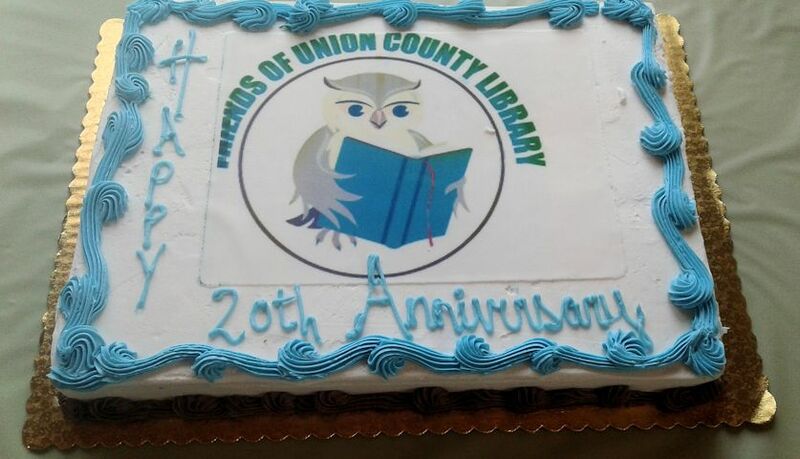 In 2016, the Friends of Union County Library celebrated their 20th Anniversary. FOUCL’s 20th anniversary cake featuring Owliver, our mascot. 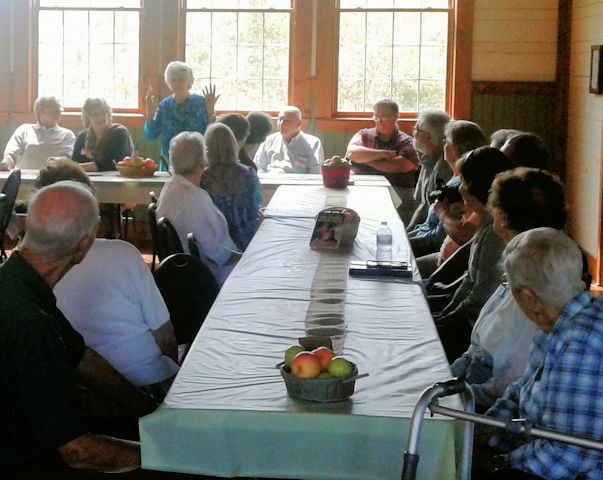 Friends gathered at the historic Choestoe School House and stories were shared. 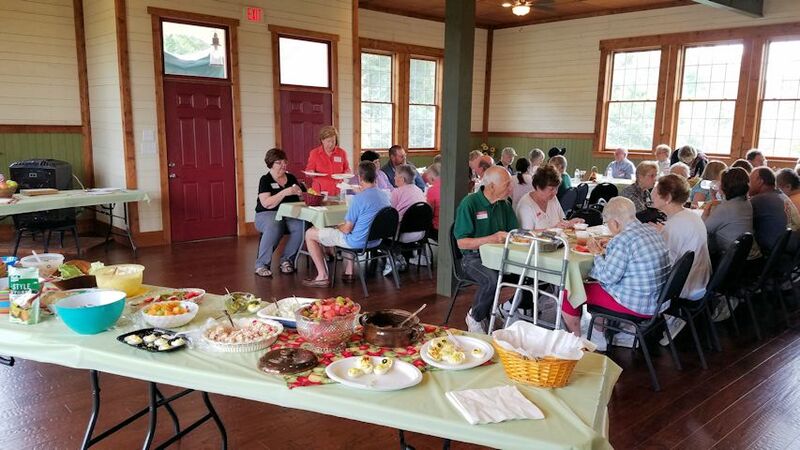 A potluck lunch was enjoyed by all. 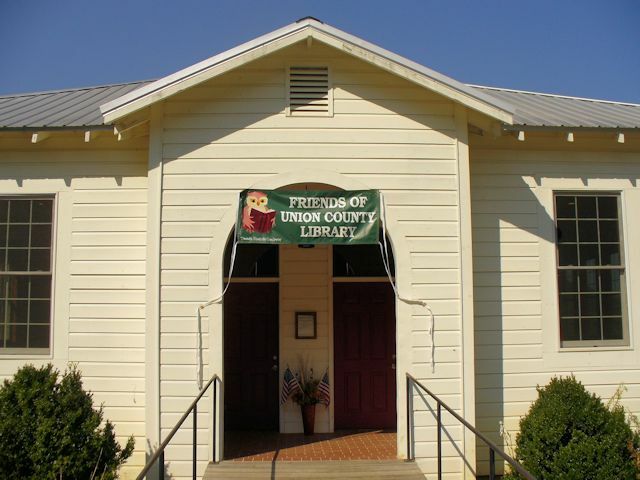 Friends of Union County Library, waving their banner high.